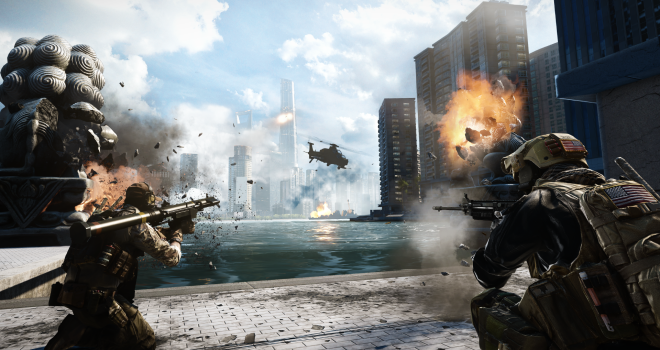 On January 16th, DICE rolled out the latest patch update; Update 5, across all platforms for BF4. While each fix unique problems to each platform, DICE is getting closer to resolving all the bugs in BF4. However, it seems, at least on the Xbox 360 version of the game, that most of the fixes were all little problems and the bigger concerns haven’t been addressed, because the servers are still crashing and weapon balancing is a problem, as well as profile game corruptions are still occurring, forcing players to delete campaign saves to be able to have their profiles available for the multiplayer. BF4 has been out since October, and have had 5 game updates, so how many more updates will DICE have to release to address all the problems with the game? And why isn’t the battlefield community being better “compensated” for this, because I feel as battlefield fans, we deserve better treatment from our developers than a sloppy, way early released game that months after release are still experiencing problems with the game that literally prevent us from the playing the newest battlefield game. We’ve gotten double XP and a 3x scope for the M1911 .45 handgun in the game. To me, thats just ridiculous, I’d like to see DICE and EA step it up, take responsibility and just get this game in working condition.